What’s summer without at least one or two day trips to a theme park or your local county fair? If you're lucky enough to live close to a big amusement park, go for it! But you don't need to make a long, expensive trek to Disney World or any of the other big name parks if your community has a county or state fair or even a local church or fire company carnival, grab your gear and get ready for some exciting photo ops! 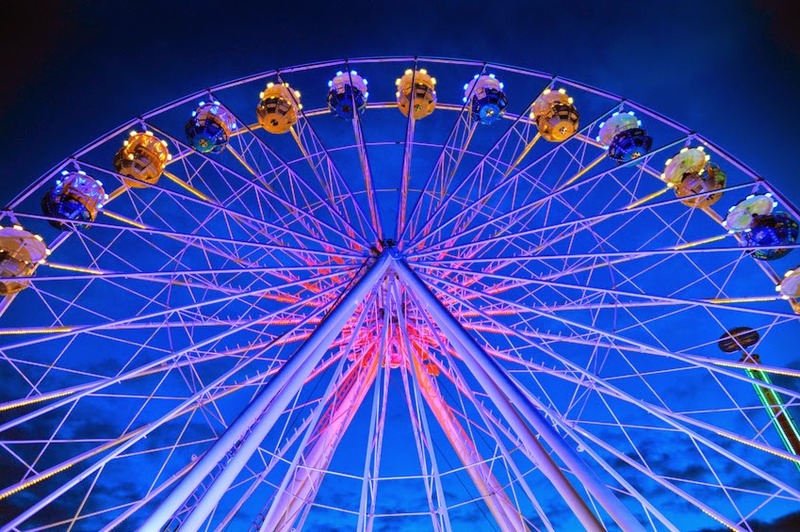 While a small ferris wheel or slow moving carousel might be ok to take your camera on, for the most part, you won’t be able or won't want to take your camera on the rides (it’s also tiring walking all day with your equipment in the summer sun!) so consider stowing your camera gear in a locker or other secure box offered in many theme parks for valuables. Ride the rides and explore, making mental notes (or snapping locations with your cell phone!) then go retrieve your gear and head back just for photos. TIP: Some theme parks have restrictions for photographers or require permits. Check the park’s website to see if any such restrictions apply before you go! The same rule that says to take holiday light pictures *before* it's completely dark applies here too: plan to shoot some of your frames just after the sun dips low when the lights on the rides and amusements become really lively and the sky is a deep blue. Shoot some frames of the lights before it's completely dark for a stunning deep blue sky! Tip: You probably won’t want to lug a tripod around with you (see gear concerns above), so get creative! If you’re shooting at dusk or at night try balancing the camera on a trash can or other stable object and use a cable/remote release. 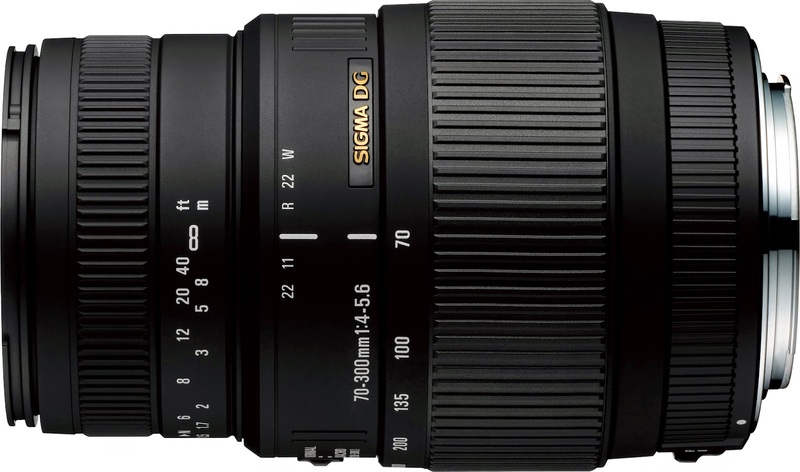 The Sigma 10-20mm shoots W I D E, perfect for getting a lot of action in the frame. But let's face it, there's more than just the rides to photograph, there's the people! Focus on the faces you see with the tried and true SIGMA 70-200mm f/2.8. 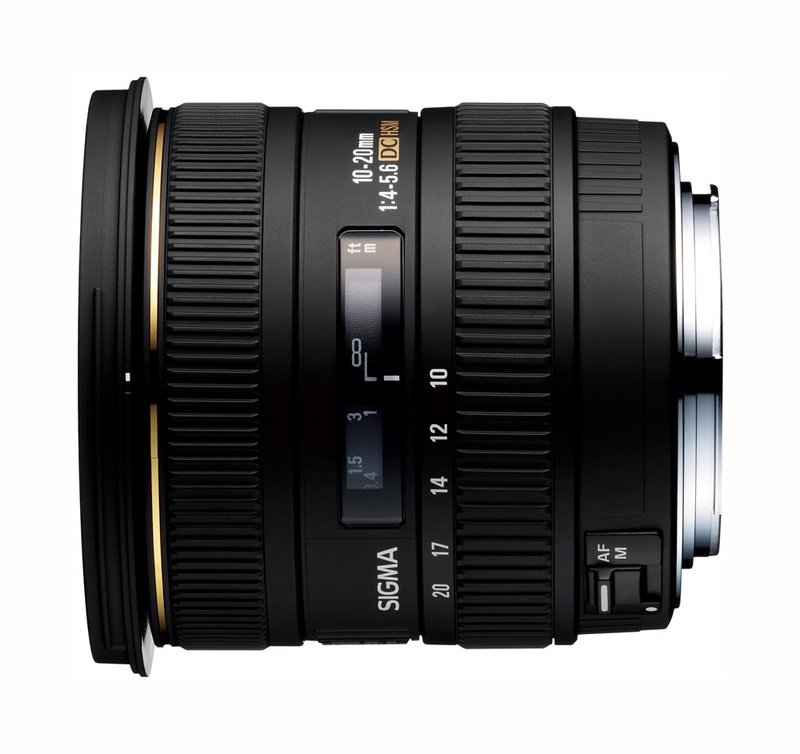 Super fast and sharp, this lens also shoots great in low light and is one of our all time favorite lenses. 2. Rain Hood (optional) Some of the best faces you'll see are on the water flume rides, which have the added bonus of splashing water to add action to your images. But the water is also a hazard to your equipment, so if you’re trying to get action shots of the water flume rides, those signs that warn riders that they will get wet apply to you, too! If you want to stay close, consider a rain hood. Carry your gear in the Tenba Small Messenger Camera Bag. 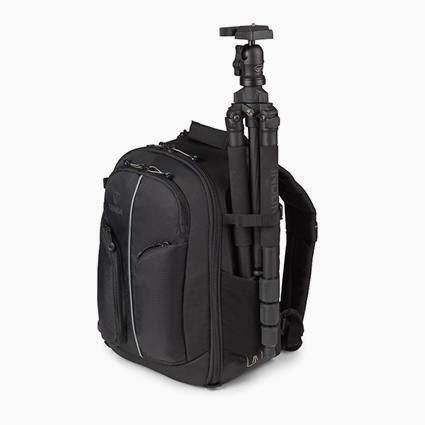 Sturdy and light, it holds your camera body plus a couple lenses with ease. 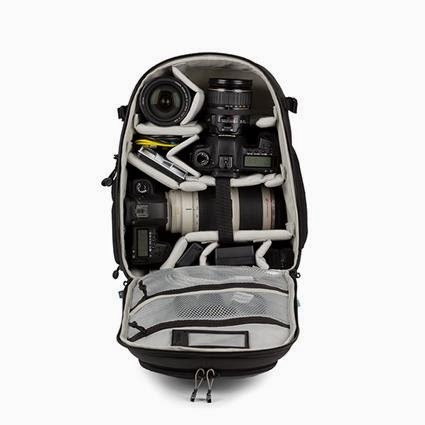 If you’re not going to ride the rides and need to have your gear with you all day, then keep your hands free for hot dogs and snow cones with a backpack camera bag like the brand new Tenba Shootout 18L Backpack! With a little planning you can make some amazing images at a theme park, fair or carnival, but if heading to one of these events isn't in your summer plans, then stay tuned for our next couple of installments in the Staycation Photography Series, as we'll be talking about photo ops in your own backyard! Prior to learning how to use strobes I always used natural light for my images. In those days I use to say "Oh I only use natural light" with a bit of an elitist tone. The truth is I didn't know how to use artificial light of any kind be it strobe, constant light, reflectors or scrims! So I finally took the time to spend a week with Greg Gorman to learn the craft of lighting. Greg confirmed my greatest fear, "In many cases you'll have 10 minutes at the MOST to work with the talent you're shooting. You can't wait for the perfect light, you have to CREATE it!" I realize that using a theatrical spotlight is NOT a normal constant light source for most photographers, but I've included these examples to illustrate that thinking 'outside of the box' in terms of what you can use for a light source will greatly expand your possibilities. A high ISO was necessary in using a high shutter speed to freeze her movement using constant light. In this case I felt the noise adds to the grittiness of the scene which is what I wanted for her dance portrait. To photograph Laetitia, a Cirque performer I used the Fresnel as fill for her face. She is only about four feet off the ground, but I was laying on my back to give the illusion that she is higher in the air! 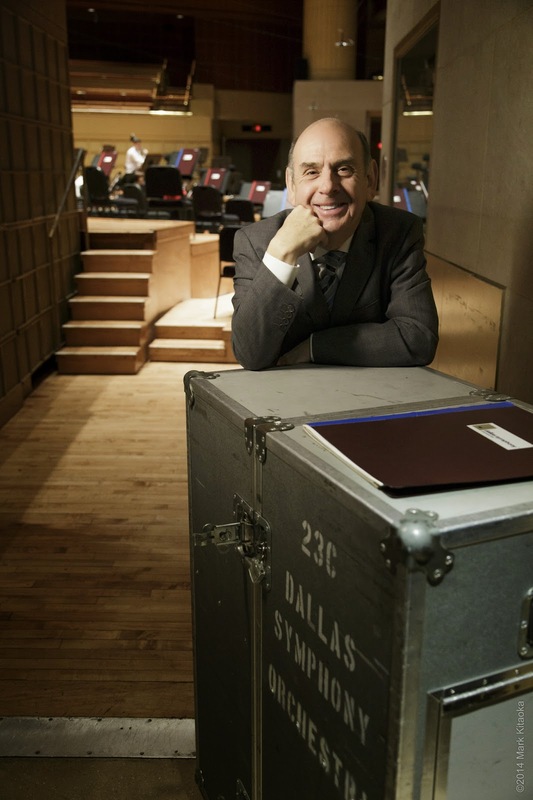 Peter is one of the stage managers at Dallas Symphony Orchestra. I was commissioned to get an environmental portrait of him. The mood and situations you want to create will dictate what light sources/modifiers will work best for you. Just keep in mind that a 'one size fits all' attitude will limit your ability to create compelling and dynamic imagery. July 4th! It’s a long weekend and the height of summer. Lots of people plan a getaway to the beach, the mountains or pack the whole family into the car for a road trip. But what if you’re staying home? If you live in the USA, it’s pretty safe to say no matter how small your community, there’ll be some sort of festivities planned for Independence Day. A parade, fireworks, maybe a band concert; why not plan to take your camera and act like a tourist in your home town? Fireworks: From big and bombastic to small but fantastic, fireworks are a favorite summer spectacle! Tips: Arrive early to scout out a location free from obstructions like trees, power lines, lamp posts, houses. If you’re close up to where the fireworks will be launched, get ready to shoot right away as soon as they start going off, as later in the show there’ll be smoke and it could obstruct your shots. POW! 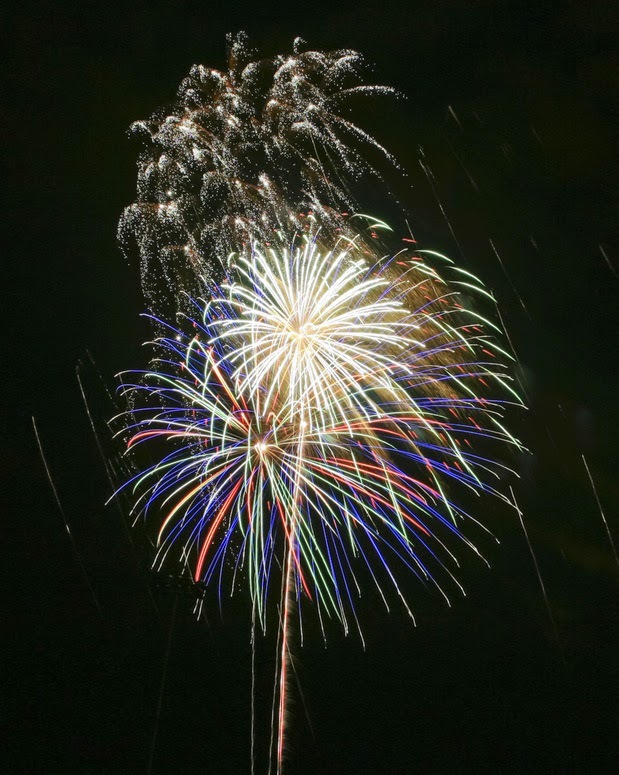 A tripod and remote shutter release are a must for spectacular fireworks shots! Long exposures call for a steady camera and so a tripod (or other stable place to rest your camera) is a necessity. We recommend a 70-300mm or 18-250mm (the latter can cover wide angle so it's great for those sweeping shots of the grand finales!). The 18-250mm is great for fireworks as it can cover wide angle too! Parades: Who doesn’t love a parade? If your town holds an Independence Day parade, grab your camera, and shoot it like a pro! TIPS: Arrive early and stake out a spot (are you sensing a pattern here?). Wear comfy shoes, you'll be standing or walking a LOT. Try for different perspectives, shoot from down low looking up, or try for a high vantage point and capture some of the crowd of spectators in your shot of the parade. 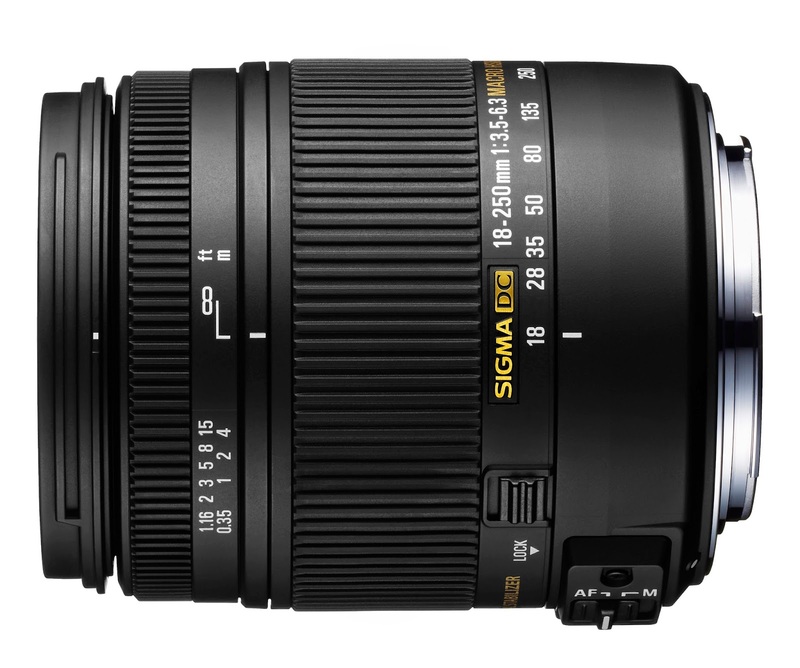 We like the 70-300mm or the 18-250mm. Both get the job done beautifully and within a budget. If you're lucky enough to have a 150-500mm this is also a super choice! The 70-300mm shoots a parade like a pro! We love how you can bust this out to support the camera and lens and get a bit of extra stability, especially when using a longer lens. Not as bulky as a tripod, it's really nice to use when doing panning shots for videos too! 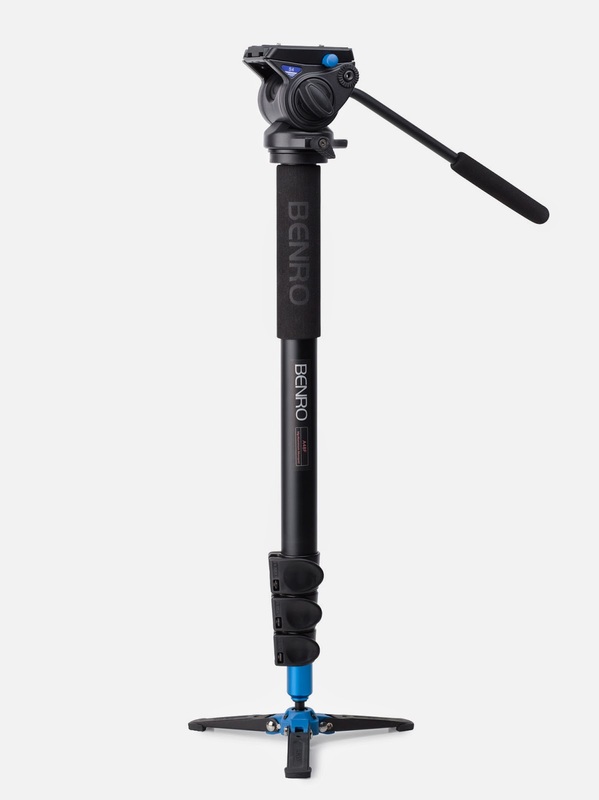 Use a monopod to get stability when using a longer lens. 4th of July parades are generally midday, so the summer light is bright and strong, and there are lots of possibilities for glare to pop up and ruin a shot (shiny cars with lots of chrome for example), so toss a polarizing filter into your bag to cut that glare and saturate your colors a bit. For the 18-250mm use a 62mm polarizer, and for the 70-300mm this 58mm polarizer is perfect. So if you're stuck at home this 4th of July weekend, don't despair! There's loads of fun to be had and photographs to be made! Watch the blog for our next edition of the Staycation Photography series! Announcing the winners of our SUPER Summer Giveaway! And the winner is ... *drum roll* Hank Lawrence! 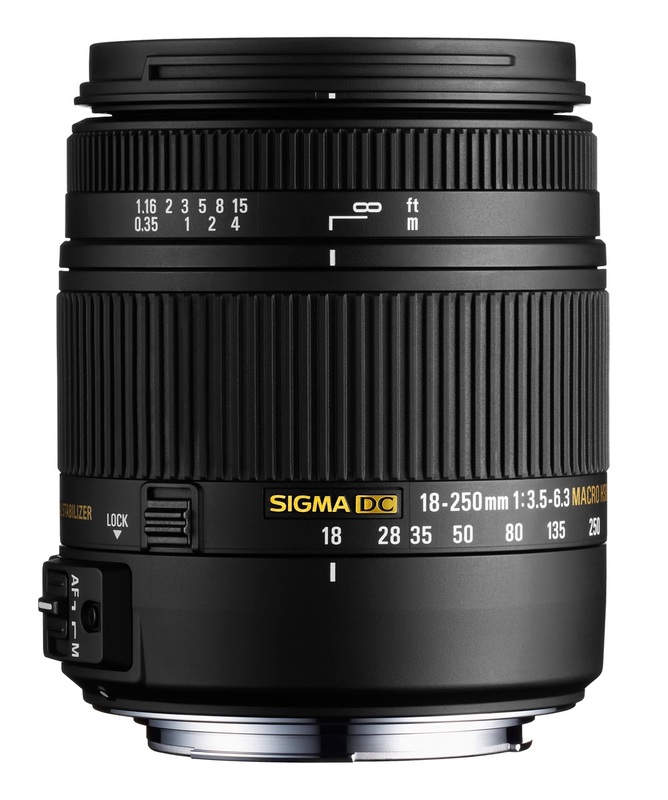 Hank is the winner of the first prize, a Sigma 18-250mm DC OS Macro lens. We can't wait to see the shots Hank is going to take with this super versatile lens. If you're not Hank and didn't win, don't despair! It's on sale with a $200 instant rebate! Stay tuned for the next giveaway and have a SUPER summer!